Don’t you just love all the deep rooted traditions involving food? Summer barbecues, Valentine’s day chocolates, turkey for thanksgiving, a feast of fish or a Christmas goose? Its a new year now and we bring it on with the pop of a champagne cork, some laughter, tears, a hug and a kiss. I usually get a little teary eyed, but not so much this time around, my emotions were in check. I have many wonderful things to look forward to in 2012. 🙂 Anyway, I will stop rambling. Going back to the idea of tradition, it is believed that if we eat certain foods on New Year’s day, it will bring luck throughout the course of the entire year. So I figure there is no harm in trying, it can only help. My Latina upbringing has instilled a sense of superstition within me that just can’t be helped. 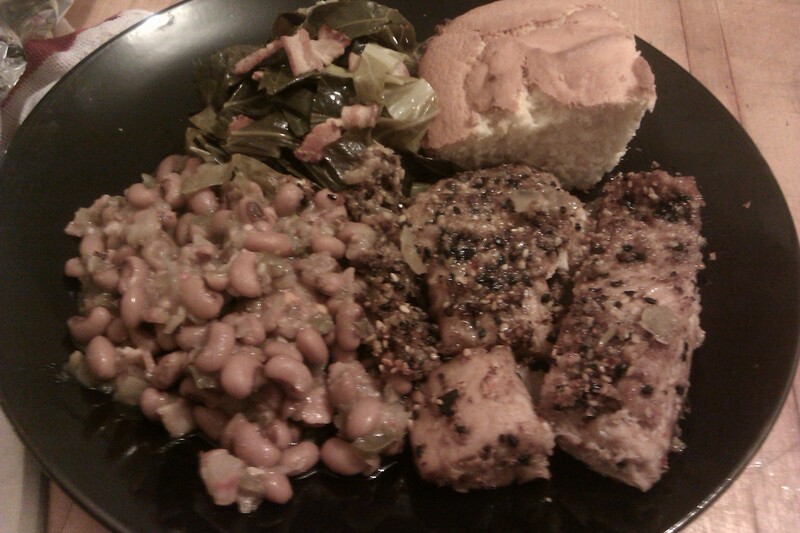 So I made what I’ll call a “prosperity for 2012 din- din.” New year meals vary throughout the world. My dinner celebrates American fare with southern, and northwestern influences, with a teensy touch of European flair. Bacon, which is used to compliment my dish, is considered lucky grub in Europe. Pigs are plump, and one boar can feed an abundance of people. Wild boars were slaughtered on the first of the new year as part of tradition. Collard greens are considered lucky in the southern region of the U.S. because they are green, just like money. Black eyed peas are thought to bring wealth and success because they resemble little coins. They also swell when they cook, a sure sign of prosperity. Salmon are thought to bring luck in the northwestern part of America. The scales on a fish are said to look like money and fish swim in schools which invoke the idea of abundance. Corn bread, another southern staple in the kitchen, is considered lucky due to its golden yellow coloring, which is compared to real gold. I’m telling you, this was such a tasty meal. I made it my way. 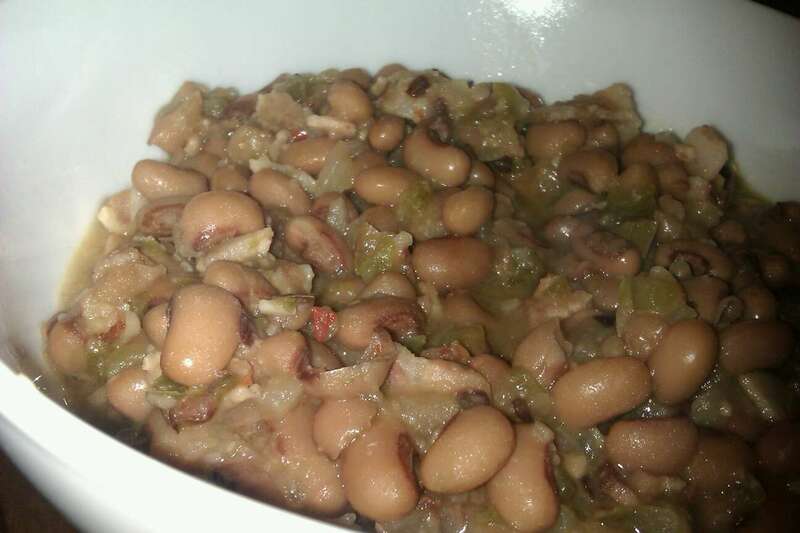 The black eyed peas were cooked slowly with smoked bacon, minced onion, garlic, green peppers, red pepper flakes, a touch of cider vinegar and sea salt. My salmon was seasoned with ginger, lemon, sea salt, pepper, panko bread crumbs and butter. 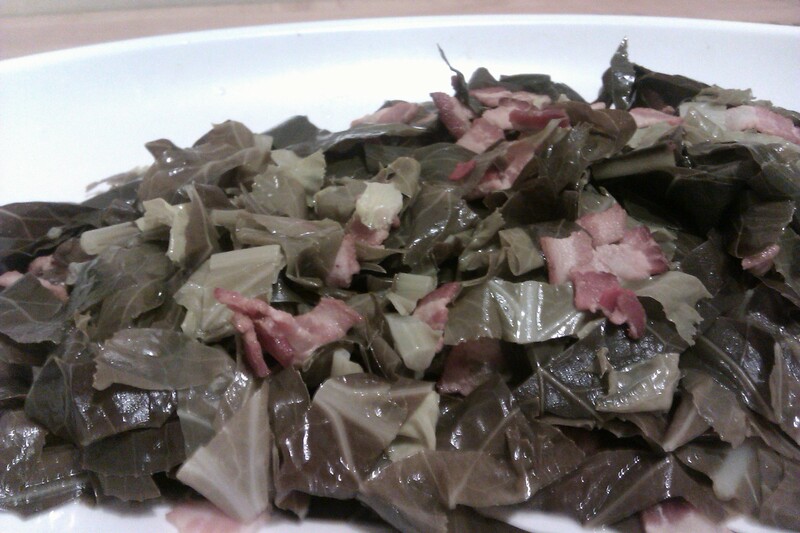 The fresh collards were boiled in water spiced up with cider vinegar, bacon, bacon drippings, minced garlic, salt and red pepper flakes. I baked the corn bread from scratch and melted butter on top. It was luscious. Whether there is truth to these beliefs, I guess you may never know unless you try. This is the first time I tried the lucky new year’s day menu. 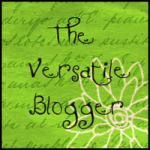 So let’s see…. God bless and happy new year!